BOTI will help you get on top of the bottom line in the world of financial management when you enrol on one of our financial management courses, accounting courses, financial accounting courses and finance courses. BOTI offers business training programmes across South Africa. Book your seat on an accounting course now! The bottom line – financial management is simply a process of how to apply general management principles to financial resources. 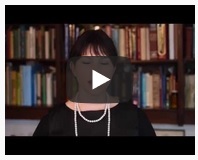 What exactly does financial management involve? These tasks are carried out with respect to all financial activities of the business such as procurement and the appropriate utilisation of business funds. Financial management is also concerned with the means to applying general management principles to the financial resources of the enterprise. Financial management also deals with Investment decisions which include investment in fixed assets (also referred to as capital budgeting). Investment in current assets which is also a part of the scope of investment decisions is referred to as working capital decision making. When we refer to financial decisions, such primarily relate to the raising of finance from various sources. These decisions relate to the funding source, financing period or term, costs of financing and the anticipated returns. Dividends payable to shareholders and the rate at which such returns are awarded. Retained profits which relates to the amount that needs to be finalised and which will depend upon any expansion and diversification plans that the company may be involved with. Ensuring a regular and adequate supply of funds to the business. Ensuring adequate returns to shareholders which will depend upon the earning capacity, share price and shareholder expectations. Optimal utilisation of business funds in the sense that once funding has been obtained, to ensure optimal funds utilisation with minimal costs. To ensure safety on investment, that is, funds should be invested in safe ventures so as to enable an adequate rate of return on investment (ROI). To plan a sound capital structure. That is, there should be sound and fair composition of capital so that a balance is maintained between debt and equity capital. A financial manager is required to estimate a company’s capital requirements. Such will ultimately depend upon expected costs and profits and future programmes and policies of the business. 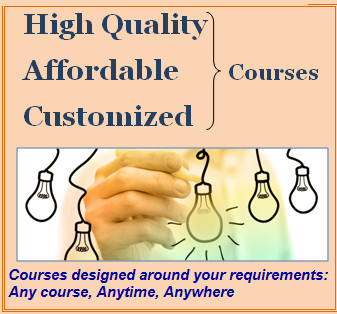 Estimations should be adequately forecasted so as to increase the earning capacity of the business. Once estimations have been made, capital structure will need to be determined which involves short- term and long- term debt equity analysis. This will also depend upon the proportion of equity capital a company possesses and additional funds which may need to be raised from external sources. The choice of funding sources will depend upon the merits and demerits of the available options as well as the finance terms and time factors involved in the deal and factors involved in financing over certain periods of time. The financial manager is responsible for the allocation of business funds into profitable ventures in an attempt to secure regular returns within a framework of a good return on investment (ROI). Dividend declaration, which includes identifying the rate of dividends and other benefits such bonuses. Retained profits, whereby volumes need to be determined and which will depend upon any expansion, innovational or diversification plans the business may wish to undertake. 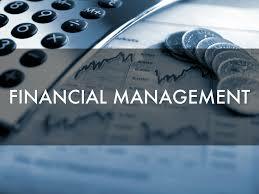 It is incumbent upon the financial manager of the business to make decisions involving cash management. Despite the advent of modern technology often ‘cash is still king’ and is required for a number of different purposes such as the payment of wages and salaries, payment of electricity and water accounts, payments to creditors, meeting liabilities, maintaining stock levels, the purchase of raw materials and so forth. The financial manager not only needs to plan, procure and efficiently utilise the funds of the business but also needs to exercise control over business finances. 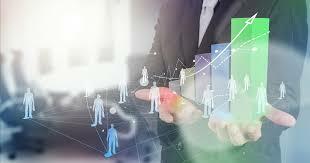 This can be achieved using a variety of techniques including ratio analysis, financial forecasting and cost and profit control. Financial Planning is the process of estimating the capital required, its composition and framing financial policies in relation to the procurement, investment and administration of the funds of the business. Capital requirements should be examined in terms of both short and long term requirements. The capital structure is the composition of capital, i.e., the relative kind and proportion of capital required by the business. This includes decisions of debt- equity ratio- both short-term and long- term. It is the duty of the financial manager to ensure that scarce financial resources are utilised in the most profitable and efficient manner in order to ensure maximum return on investment (ROI). Financial Planning is a process that entails the framing of objectives, policies, procedures, programmes and budgets regarding the financial activities of a business which ensures effective and adequate financial and investment policies. Assists in maintaining a reasonable balance between the outflow and inflow of funds so as to maintain financial stability. Assists in the development of growth and expansion programmes that improve business sustainability. Reduces uncertainty in respect of fluctuating trends and changes in the market. Minimises uncertainty which can hinder potential business growth. The future nevertheless remains uncertain, hence, inherent challenges exist when calculating anticipated returns. Along with uncertainty comes the risk factor which should also be taken into consideration. This risk factor plays a very significant role in calculating the expected return of a prospective investment. Hence, when evaluating investment proposals it is vital to take into consideration both expected return and inherent risk factors. The investment decision not only involves the allocation of capital to long term assets but also includes decisions that concern the utilisation of funds which are obtained by selling those assets which become less profitable and less productive. It is often a wise decision to dispose of depreciated assets that no longer add value to the business and instead direct such funds towards securing other more lucrative assets. Opportunity cost of capital should be calculated when dissolving such assets. The correct cut off rate is calculated by using the opportunity cost of the required rate of return (RRR). The financial decision is yet another important function that a financial manger must perform. It is critical to make appropriate decisions around when, where and how a business show go about acquiring the necessary funding. Funds can be acquired through numerous ways and channels. Broadly speaking, a correct equity to debt ratio should be maintained. This mix of equity capital and debt is known as a firm’s capital structure. Companies tend to benefit most when the market value of a company’s shares increases. This is not only a sign of growth for the business but increases the wealth of shareholders in the business. On the other hand the use of debt affects the risk and return of a shareholder. While the use of debt poses greater risks, it may increase returns on equity funds. A sound financial structure is said to be one which aims to maximise shareholder returns with minimal risk. In such a case the market value of the business will increase and hence an optimal capital structure achieved. Other than equity and debt there are several other tools which are used in determining a firm’s capital structure. Earning profit or a positive return is a common aim amongst all businesses. Yet, the key function a financial manager performs in the sense of profitability involves whether to distribute all the profits of the business among shareholders, retain these profits or distribute part of the profits among shareholders and retain the rest. Hence, it is the financial manager’s responsibility to determine an appropriate dividend policy which maximises the market value of the company. Therefore, an optimum dividend payout ratio is calculated. It is common practice to pay regular dividends with respect to business profitability. Another method is the issue of bonus shares to existing shareholders. It is critical to maintain a liquidity position to avoid insolvency. A company’s profitability, liquidity and risk all are associated with the investment in current assets. In order to maintain a trade-off between profitability and liquidity it is important to invest sufficient funds in current assets. Current assets should be valued and disposed of from time to time once they become non profitable. Currents assets should be used during times when liquidity problems occur and as a result of insolvency. The shares of a company are traded on the stock exchange and hence there is a continuous sale and purchase of securities. As a consequence, an in-depth understanding of the Capital Markets is an important function of a financial manager. When securities are traded on the stock market a tremendous amount of risk is involved in the process which invariably means that a financial manager needs to understand and subsequently calculate the risk involved in the trading of shares and debentures. 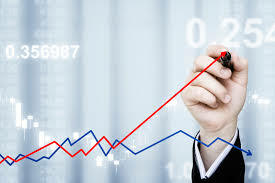 It is at the financial manager’s discretion as to how the distribution of profits should be deal with and many investors are opposed to the distribution of company profits among shareholders since such dividends could instead be used to reinvest in the business itself in order to fuel and therefore enhance growth. The activities of a financial manager consequently have a direct impact on the operation of the business as this pertains to the Capital Markets at large.